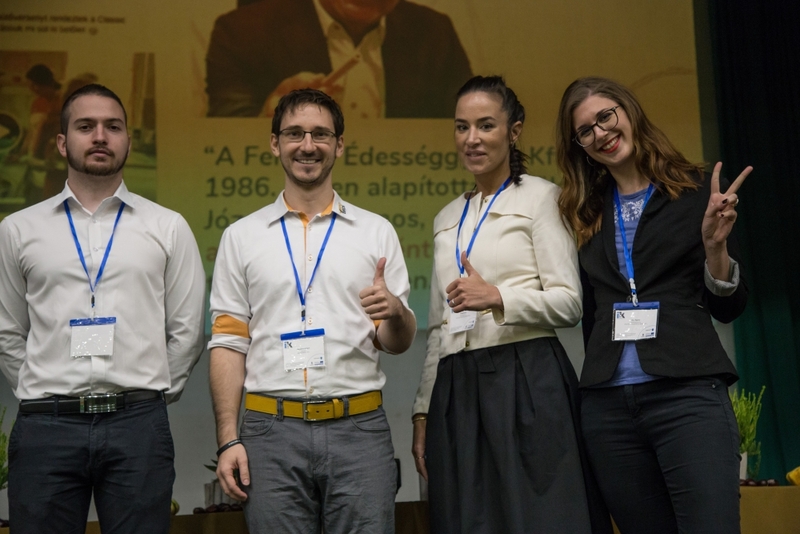 We have been looking for answers to these questions between 26 and 27 September at the conference titled „How to become from inland to international in the food industry by innovation?”, organized by Pharmapolis Innovative Food Industrial Cluster at the University of Debrecen. Our company was represented by development director Semsey Dávid, marketing director Király Ibolya and marketing executive Kun Ágnes. At the end of his presentation, Dávid received some kind words from the cluster’s executive director in charge of innovation, Dr. Prokisch József, too. We feel lucky to had the possibility to hear out the advice of such noted experts. It was memorable to encounter with Mészáros Róbert, who deals with branding under the aegis of his own company, BrandBirds. It was awesome to discover Felfoldi Ltd. on one of his slides during his presentation, bearing the message that our company is an example worth following. We gladly took a photo and exchanged business cards.